Exciting news, developments, student achievements, things like that. 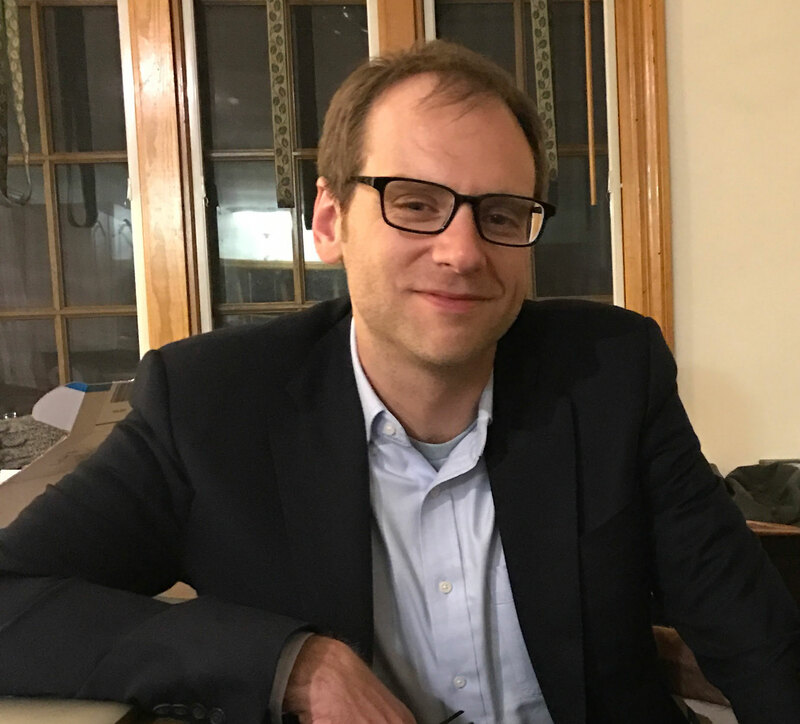 Colin is a 12 year veteran of Minds Matter, having started as a mentor in 2007, later as a Team Leader, and as a College Advisor for the last 5 years, now serving as Director of College Advising. He will be honored at this Thursday’s Brilliant Minds Benefit. Q: How did you first get involved in Minds Matter? Colin: My wife and I were looking for a volunteer opportunity to do together on the weekends. We came across Minds Matter on Idealist.org and decided to give it a try. Q: Have your reasons for being involved evolved over time? Colin: Yes, over time, both of us (my wife and I) have become very invested in the mission. We’ve gotten to know the college access landscape well and found a place in it where we can do something really important. We also really enjoyed the work itself— it was really fun to come in on Saturdays and work with Minds Matter students. Q: Where did you go to college, and what did you study? Colin: I went to Bowdoin College and studied music and sociology. Q: How did college impact your life? Colin: College felt like a blank slate; it was a chance to go and do what I wanted to do (even though I had no idea what I wanted to do). Early on, a professor told me that one of the best things you can do in college is take classes by the best, most interesting professors, regardless of subject. I took that advice and ran with it. By taking courses that interested me, instead of what I thought I “should”, I let doors open that I never knew existed. This approach to life has been very rewarding and exciting. The nature of a liberal arts college and education has been implanted now in my brain—I always want to be doing many different things and thinking about the world in a variety of ways. This is when I feel most healthy and happy. Q: Did you feel prepared for college? Colin: I felt academically prepared for college, but less so in other ways. I went to a large public high school that had one college counselor for a class of 400 students (not dissimilar from the ratio of many of our students’ schools). There was definitely a college going culture [in Ithaca], but less overall guidance about finding a best-fit college. I also wasn’t prepared for the cultural differences with wealthier students, students from boarding schools, or similar..
Q: Why is it important to you to help our students get into college? Colin: College graduates have greater socio-economic opportunity, yet this credential is not evenly accessible for all students—some students are just not going to college, and those who are, often struggle or feel they don’t belong. I want to help open up opportunities for others, and see college as a critical first step. Q: What recommendations do you have for new volunteers? Colin: Show up. Make it a priority every week. Take it seriously and that’s when you’ll get the most reward out of it. I also recommend investing time in getting to understand the mission of the organization. In this day and age, providing more opportunity is such an important cause, and if you don’t engage with that “why” you can feel lost in why you’re doing this. The bigger picture is the main focus—it’s all about creating opportunity. Courtney is this year’s Minds Matter Achievement Scholar and a member of Syracuse University’s Class of 2021. Q: What have you learned from your time with Minds Matter? Courtney: I have learned how to grow better decision-making skills, especially during big transitional times in my life, such as college. Also, Minds Matter has truly taught me that I am never really alone, and I can always rely on the people around me. Q: What has been your favorite Minds Matter moment? Courtney: My favorite Minds Matter moment has to be graduation. It was bittersweet, but it was so nice to see that all of my peers who had gone through this journey with me were taking another step forward in their lives as well. It was great to celebrate all of our successes together and truly support one another. Q: If you could give any piece of advice to a sophomore starting at Minds Matter, what would it be? Courtney: My biggest piece of advice to a sophomore at Minds Matter is to take a chance on every opportunity that is presented to you. You never know the amazing things that you could learn or the great people you could meet. It will also allow you to discover much more about yourself than you would have originally thought. Q: Where are you going to college and what are you hoping to study? Courtney: I’m attending Syracuse University in the Whitman Leadership Scholars program and intend to study Marketing. Q: What are you most looking forward to in college? 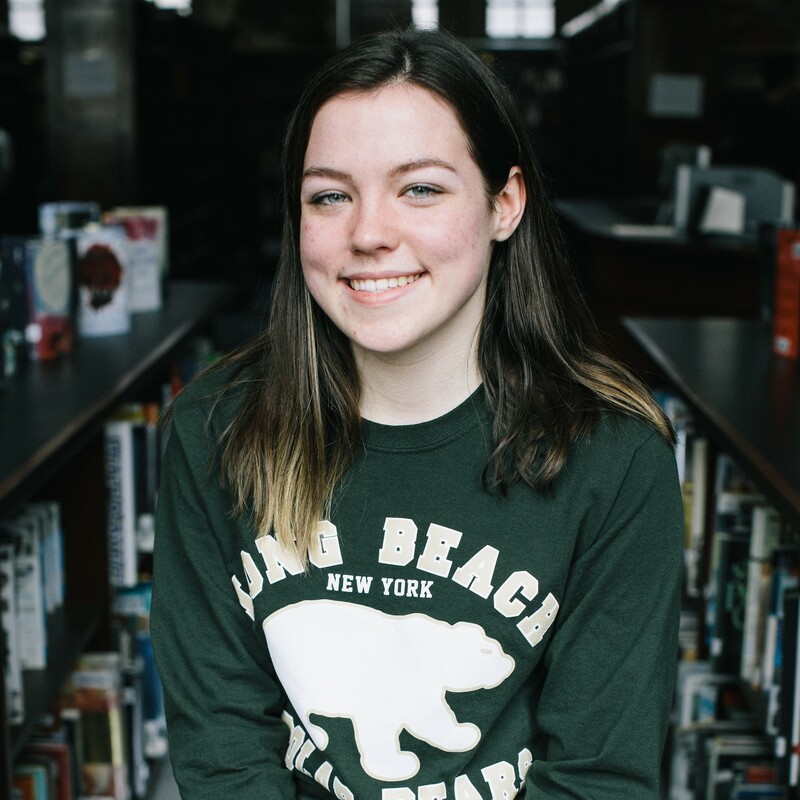 Courtney: I’m most looking forward to gaining a sense of independence in college, where I’m finally fully in control of my schedule and am able to be challenged with making decisions. Support students like Courtney. Donate today! Playing a crucial role in student recruitment, Minds Matter Student Ambassadors help usher in the next generation of Minds Matter students! By attending monthly leadership meetings, Student Ambassadors are trained in how to support prospective students through the application process and prepare for the interview, thus catalyzing a connection between their school communities and Minds Matter. Student Ambassadors represent a crucial youth-leadership voice in program feedback and evaluation and work with both volunteers and staff to help shape and create the MM program. Student Ambassadors have also spoken at and attended the Brilliant Minds Benefit, held independent information sessions for students at their schools and welcomed potential students and their families at interview day. We could not do our work without them and we are proud of their leadership! Leslie is a hard-working and enthusiastic junior. 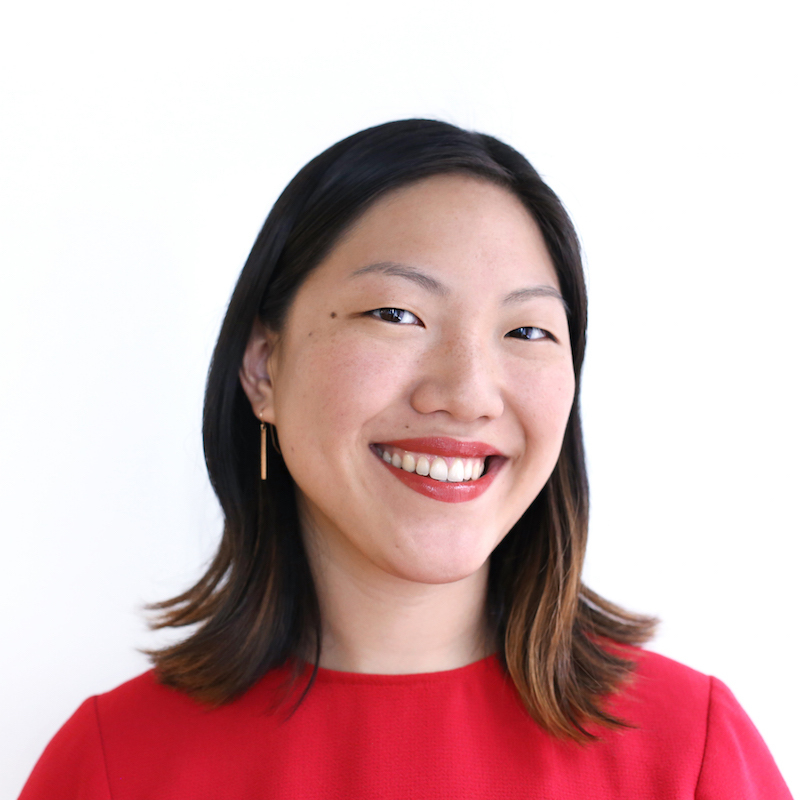 She talks with us about her passions, overcoming hardships, and her drive to succeed. Q: What is your favorite part about Minds Matter? Leslie: In Minds Matter I am constantly reminded of my capability. The community that has been built for us is a lovely blessing. Volunteers come to work with us and challenge us in order to go beyond our limits. They believe that we are capable of much more than we ourselves think. They are always there for us when we need them. They motivate us to work hard in school and support us in order to be college ready and pursue our dreams. They push us to try new things and hand us the resources we need in order to succeed in our journey. Q: What is the hardest thing you’ve had to overcome? Leslie: The hardest thing I’ve had to overcome is the loss of my mother in her battle with cancer. It happened so quickly that until this day it seems unreal. My mom is my motivation, role model and my strength to move forward and take myself and my dad out of the darkness we live in. When I look into my father’s eyes, all I see is hope and sacrifice. Hope that one day we will achieve the American Dream. Sacrifice because he works every day for long hours to pay the bills that lead to stress and frustration. He inspires me to strive in my education and standout. Both of my parents have built the person that I am today. 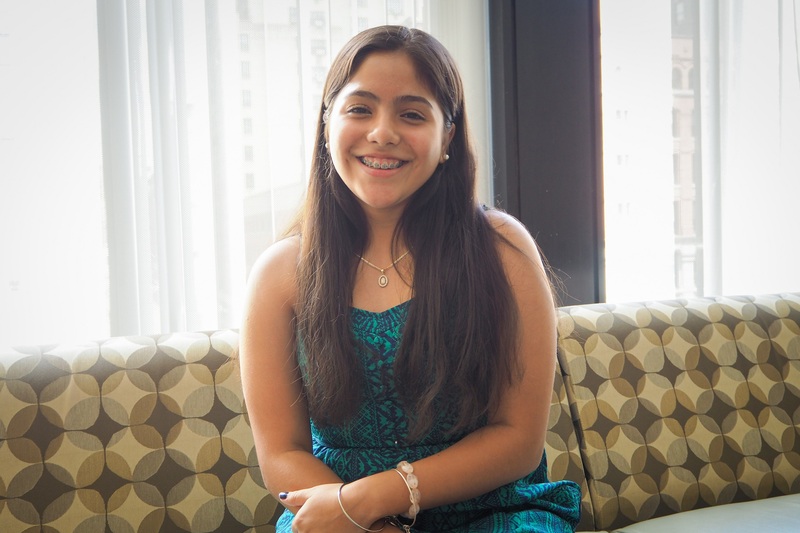 Leslie: In school I have gravitated towards the power of math and I have developed a passion for art. This has inspired me to become an architect. I am fascinated by the work that can be done by combining math and art. Opportunities offered to low income students like myself at Minds Matter will benefit me in pursuing a career in architecture. Leslie: An interesting fact about me is that I have a passion for dancing, especially Salsa. Support students like Leslie. Donate today! 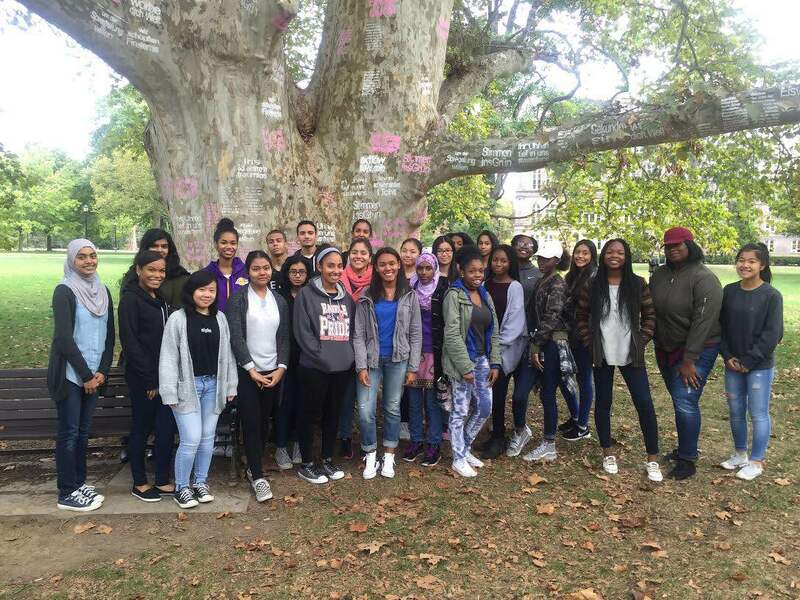 This fall, Minds Matter students embarked on the first three college visits for the 2016-17 year! Follow us on Instagram @mindsmatternyc for photos of our College Tours and other Minds Matter experiences! 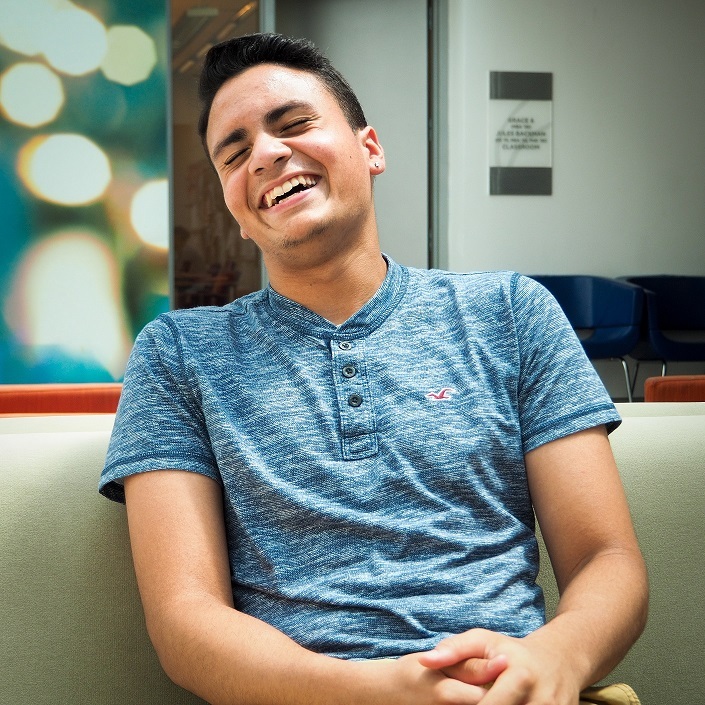 Brandon is a dedicated, optimistic and creative senior who is excited about his future. Q: What does college mean to you? Brandon: College is the place where you find and mold yourself as an individual. This is the place where you can seek knowledge and make vast key connections. College is the place where you transition from childhood to adulthood. Brandon: My greatest obstacle occurred at the age of 1, where my mother was impacted by 9/11. Growing up with a disabled mother has been difficult to overcome; I was forced to balance taking care of my mother, participating in sports, and excelling in school. At times I had to work to put the little food we had on the table. I still managed to do well in school, sports and more importantly keeping my mom healthy. Q: What is the most interesting thing about you? Brandon: Most of the kids who go through tough situations like I have use it as an excuse to walk towards the wrong path. My situation actually gives me purpose to be successful, in order to help my mother in the best way and give aid to families that go through similar situations. I use my background as an excuse to make a difference. Brandon: My favorite Minds Matter moment would have to be the ALDA summer program. To be a part of the beautiful NYU campus, making connections, and getting closer with the staff and students was an awesome experience. The summer program molded my goals into perspective and I realized what I wanted to do with my life. Support students like Brandon. Donate today!